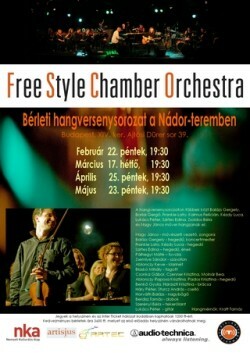 I’ve recorded Free Style Chamber Orchestra‘s concert at Budapest Palace of Arts back on 14th January, but I’ve almost forgot it, as well as to do some mastering and upload the file, so here it is. The quality is the same as previous bootlegs: it was recorded with my M-Audio Microtrack with it’s factory default stereo mic. There’s a lot of reverb, and the low-end of the freq spectrum is very muddy, high- and low-end were missing in the original recording – say thank you to the tone-deaf mixing engineers at the Palace.